Climate scientists from the University of Bristol in England have used a climate model to simulate the climate of Middle Earth. The model was also used to determine where on Earth is most like certain places in Middle Earth. This work is a bit of fun, but it does have a serious side. A core part of our work here in Bristol involves using state-of-the-art climate models to simulate and understand the past climate of our Earth. By comparing our results to evidence of past climate change, for example from tree rings, ice cores, and ancient fossils of plants and animals, we can validate the climate models, and gain confidence in the accuracy of their predictions of future climate. In the UK, the Shire's climate was most similar to Lincolnshire and Leicestershire. Eastern Europe, particularly Belarus, had the highest concentration of Shire-like areas. 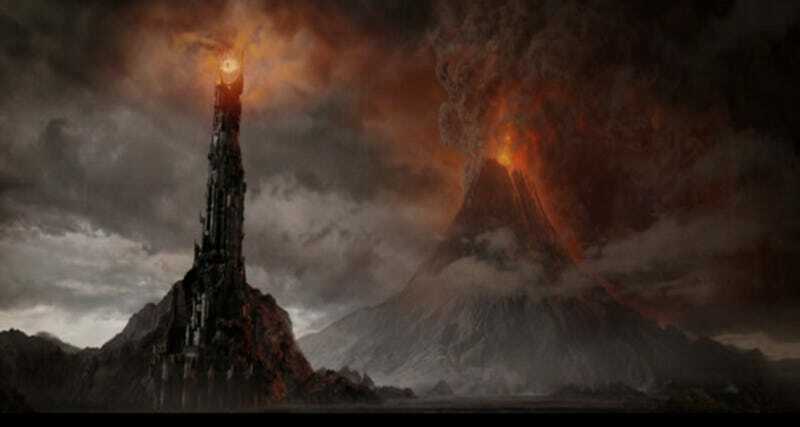 As for Mordor, "Los Angeles and western Texas are notable for being amongst the most Mordor-like regions in the USA." The results were presented in a paper written by Radagast the Brown (PDF of the paper here, elvish version here, dwarven version here).